Congratulations to Pacific Northwest National Laboratory researchers Cliff Glantz, Xiao-Ying Yu and Juan Yao for their exceptional work supporting the Chemical Mixture Methodology (CMM) program, within the National Nuclear Security Administration, Emergency Operations, Office of Plans and Policy. Recently, they received an award from NNSA on their efforts. The group was presented plaques for their impactful work at the annual meeting of the Emergency Management Issues Special Interest Group in May. The CMM program was developed in the late 1990s by DOE's Subcommittee on Consequence Assessment and Protective Actions (SCAPA) to provide a default methodology for conducting emergency management and preparedness assessments involving the atmospheric releases of mixtures of hazardous chemicals. Over the last several years, the PNNL team has developed an enhanced approach for assessing the toxicity of chemical mixtures. Extensive testing has shown the new approach will result in measurable benefits, yet maintain the conservatism required for emergency management and response applications. The CMM is recommended by DOE for use in emergency planning hazards assessments, safety analyses, and consequence assessments in support of emergency response events and exercises.It is used operationally by governmental agencies, academia, and industry around the world. 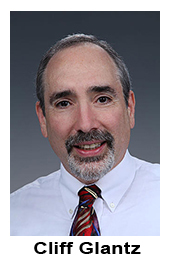 Glantz is project manager and staff scientist supporting cybersecurity, critical infrastructure protection, risk management and emergency management programs for multiple national and international clients. He is the chair of DOE SCAPA and plays a key role in other DOE national subcommittees and standards working groups. Yu is a physical chemist who works to understand interfacial phenomena at the fundamental atomic and molecular level, relevant to observed changes across multiple time and space scales in the environment. Yu is the chair of the DOE SCAPA chemical exposure working group and has led the development of the chemical mixture methodology for consequence assessment of toxic health effects since 2008. Yao is a post-masters research assistant at PNNL. She has a master's degree in Toxicology from Washington State University. She won a 2013 Outstanding Performance Award for the Chemical Mixture Methodology program at PNNL. Her research interests are in applied toxicology and microfluidics.